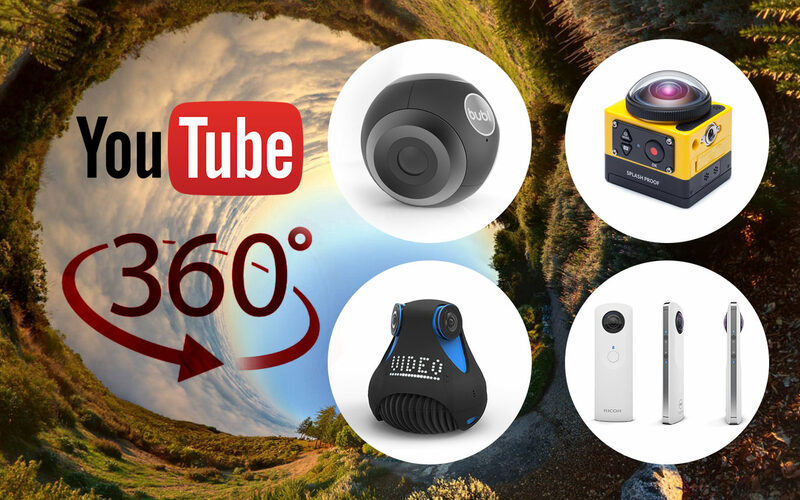 The 360 format is still in its infancy, however some intrepid film makers are making use of the new type of camera and creating stunning videos on YouTube, which is one of the only places that is compatible with the 360° format. So without further adieu, here are a list of the best YouTube Channels for watching 360° video. Casey is an extremely popular youtuber who is always at the forefront of new technology and 360° cameras are no different. Casey has got his hands on one of the first 360 camera to be released, the Ricoh Theta S, and more recently the unreleased Gear 360. He’s explored New York, gone on an aeroplane and even been to the Oscars with his 360 camera. OK, full disclosure, this is actually my YouTube channel. It’s a bit presumptuous of my to put it in a lit a “best” channels for 360 video, but I think it’s pretty good! On my channel I test out all the latest 360 cameras, I create comparisons and discuss new released and updates. You’ll also find me shooting plenty of 360 video around London! If you want to get involved in the world of 360 video it’s certainly a good place to start and I’d be happy to connect on my channel, so leave me a comment! The BBC is clearly taking the 360° revolution seriously as its YouTube channel is packed full of 360 degree videos. Some of the best 360 videos on the BBC News channel include stepping into the Large Hadron Colider, a rocket launch and a tour of London’s China Town. Louis is living the dream. He spend his time travelling from one country to another, making YouTube videos about his experiences. He’s been filming some of his adventures using a 360 camera and the results are amazing. He has videos of him on a hot air balloon, paragliding, exploring forests and loads more! This is what 360 video is great at, allowing us to see everything the film maker can see and bringing us just that little but closer to being there. Discovery has always been about showing us places we probably won’t ever visit ourselves, so it’s no wonder that they are using 360 videos to bring us just that little bit closer to the worlds wildernesses. Discovery’s YouTube Channel has pages and pages of 360° videos in what has to be one of the most extensive collections yet. One of the most successful vloggers on YouTube, Roman has begun dipping into the 360 format with a small series of . If you are a fan of the vlog format you should check out his videos to see what is possible with these new types of cameras; he focusses on the humour of being able to see everything at once and his videos are well edited. That’s the end of my suggestions for now and I think I’ve covered most of the popular types of YouTube channels. While the quality of 360 videos isn’t great, it’s still proving to be extremely popular with viewers who are enjoying the novelty of being able to see everything around the camera. Once more advanced cameras, like the Gear 360, are released quality should improve and we should start seeing many more YouTubers take up the format.